Who are you talking to? What do they care about? To attract the right people to your business, it is critical to create content that will excite them and keep them coming back for more! Understand your audience by developing a candidate persona for each of your key audience groups. A candidate persona is a hypothetical profile of a target candidate based on top performers or ideal employees. Key information includes who they are, what they care about, and where they spend time. Once you have this information, you can use it to focus your marketing and recruitment efforts to specific audiences and attract more suitable candidates. 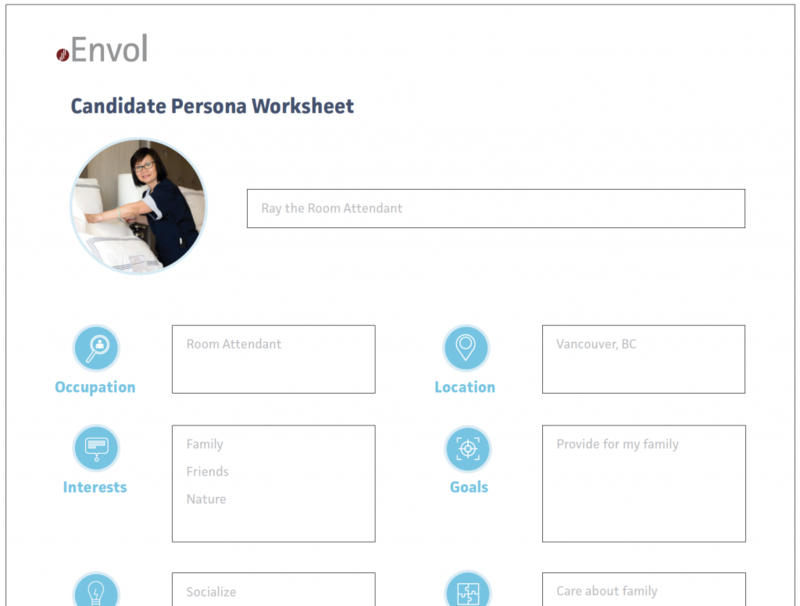 Download our Candidate Persona Tool to begin understanding your audience today! In an increasingly connected world, the way we communicate continues to evolve. Job seekers expect organizations to have a social media presence. For a large percentage of the population, this is the tool of choice for receiving news and information. It is the first place most of us go to look for information on another person or company. How are you bringing your employer brand to life across your social media platforms? Share content that offers job seekers a behind-the-scenes glimpse of your business. Engage your people as brand ambassadors to leverage the power of social sharing. At the end of the day, the most important thing to remember is your audience. Once you have defined your target audience, be consistent with the content you post, where you post, and how often you post. You’ll be on your way to an unstoppable employer brand. To get started, check out our Social Media Tool for content tips and insight into popular social media platforms! A job ad is often a job seeker’s first impression of your business. What do your job ads say about you? If you use the same template for every role – a template that hasn’t been updated in years – it’s time to re-evaluate your job advertisement strategy. The new generations in our workforce have more access to on-demand information than ever before. They expect more from employers, including customized communication and connection. Where do job seekers go to explore what it’s like to be part of your business? Your career site! As competition for top talent increases, organizations are getting more creative than ever to sell their business to job seekers. If you don’t already have a section of your website dedicated to careers and recruitment, start here! Your career site should tell a story that engages readers and leaves them wanting more. Focus on the WIIFM – what’s in it for me. What sets you apart from the competition? How do you reward people? Help candidates understand what to expect by including an overview of your hiring process. Or go even further, outlining what they can expect in their first few months and highlighting members of their future team! Your organization is so much more than posed photos and fake smiles! Show off your culture by using real photos of your team. Work with a photographer to capture high quality photos for your image library. Use these photos across platforms – from your social channels to your career site and recruitment advertising. Job seekers are looking for authenticity. Engage your team to capture candid shots on-the-job. 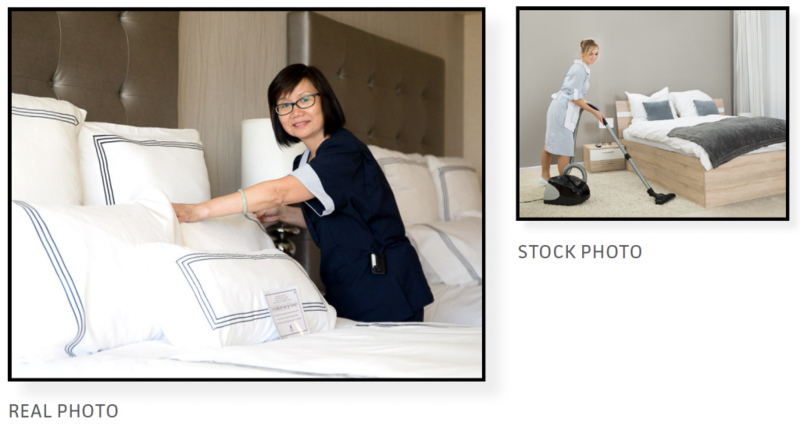 Real photos help to bring your employer brand to life, showcasing your culture, your people, and what you’re all about. After all – a picture tells a thousand words. Get started with our Employer Brand Audit! Just like your business, employer brands are complex and constantly evolving. We know it can be overwhelming when trying to decide where to start so we have created an Employer Brand Audit tool to help you start off on the right foot. Our tool provides you with a roadmap for analyzing your employer brand. Understand what you are already doing well, where you have opportunities to improve – and most importantly, how you can get there!